The front desk is the check-in point for your dog's day. We'll have your dog's file on hand with all of their informations. Remember to update us if anything will be different, such as a change to feeding schedule, phone or address, or if someone else will be picking your dog up that day. Your dog will be checked in through an airlock style system. The double gate must be kept closed at all times to make sure everyone is safe. We ask that pets only come past this point in order to ensure everyone's safety and comfort. K9to5 boasts a permitted outside yard where the dogs can relieve themselves, catch a breath of fresh air, and find a patch of sun if they so desire. Our secure privacy fence ensures that dogs are unbothered while out for a break. Our outside yard means that dogs can be let out frequently during the day, so you don't have to worry about water restrictions based on bathroom breaks, or about your newly house trained puppy having a setback because of daycare. We make sure dogs get the chance to go out often. 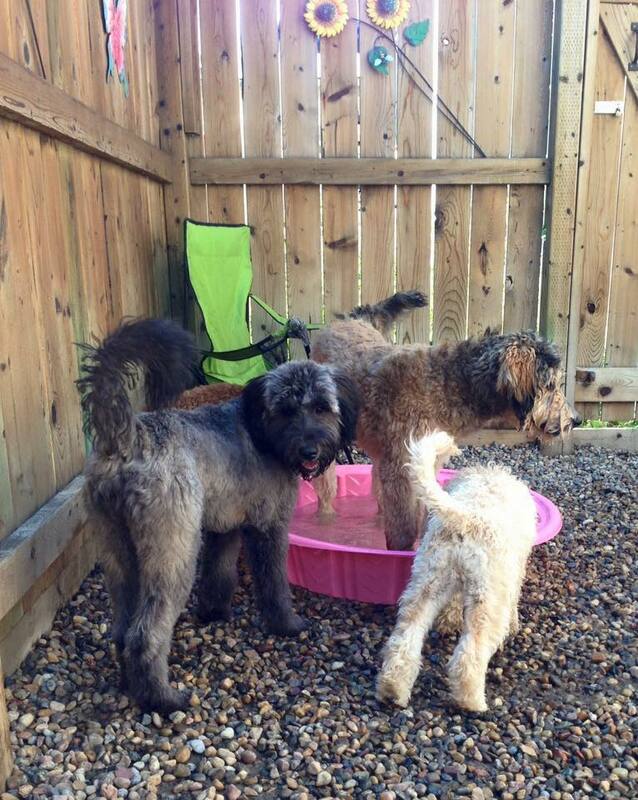 It is out here where we set up our wading pools on hot days as well so the dogs can have a paddle and play with their toys in the water. Medication prep, private feeding time for dogs who eat lunch while at daycare, and a time out space for dogs who need a short break from all the hustle and bustle of the daycare. Gates replace doors, so that even if staff are in the lunch room, they can see, hear, and get to the dogs at all times. K9to5 Dog Daycare is staffed by Canine First Aid certified employees. We keep a fully equipped first aid kit safely out of dog-reach at all times. Your dog's collar is removed when they arrive at daycare. This prevents accidental strangulation should the dogs get their teeth caught in collars during play. 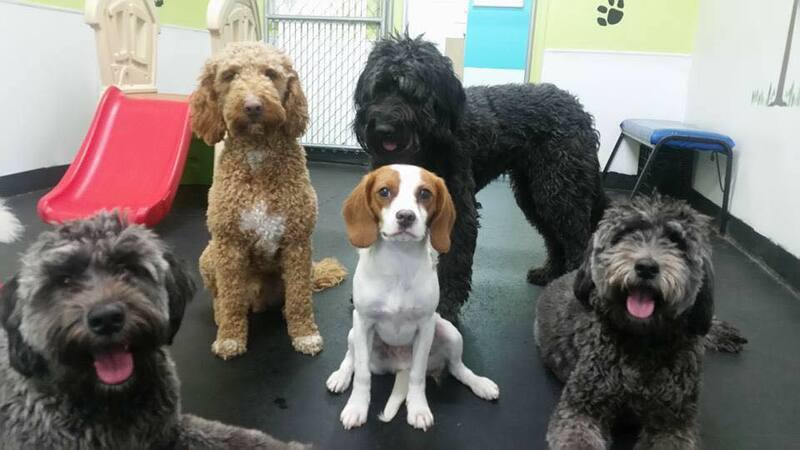 Like the daycares designed for your human family members and friends, K9to5 Dog Daycare has fire drills, where dogs practice being hooked up to a specially designed leashing system that will allow all dogs to be safely removed from the daycare in case of an emergency. We hope it never happens, but regular practice ensures that if it ever does, both dogs and people will know exactly what to do.